Items are added here to highlight new events. 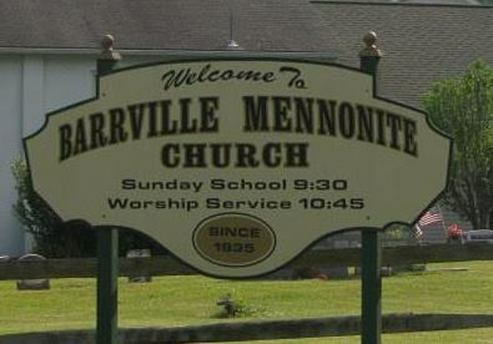 Emmanuel Doulat from God's Fellowship Ministries of Pakistan will be sharing from the ministry and preaching here at Barrville on Sunday, April 28. After taking off for the winter months, we have resumed our Wednesday Bible Study at 7:00 PM. Several prayer requests have been added to the Prayer Request page. More details on these events and other events in the community are on the News & Events page. 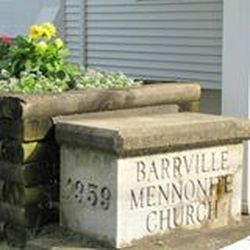 Barrville Mennonite Church is part of the body of Christ in Mifflin County, PA, and around the world. We are committed to cultivating an environment of spirited growth and depth where the believer in Jesus will reach their fullest potential in their faith. As the body of Christ we are committed to carrying out his ministry. We are called by Jesus to be a place of spiritual, emotional, relational and physical healing in a broken and struggling world. In a world that is bound by anger, despair and addictions, we are a place of deliverance. We are a missionary community calling the unsaved into a relationship with Jesus Christ and the unchurched into a dynamic relationship with the body of Christ. From Lewistown: Keep straight on US-322 West, 4.2 miles from Lewistown. At Reedsville/Belleville exit, take ramp and turn left onto PA-655 South. Go 3 miles and turn right onto Barrville Road; continue 2.1 miles. At stop sign at E. Back Mountain Road, turn right; go .3 mi. and take a sharp left onto Barrville Mountain Road. From Allensville: From Main Street, Allensville, continue on PA-655 Northeast to Belleville. From Minit Mart (4472 E. Main Street, Belleville, PA), continue 3.8 mi. Turn left onto Barrville Road and continue as noted above.